LAWRENCE – Eight junior dance majors took initiative this semester to create a dance event showcasing the choreographic skills, creativity and passion tucked away in the dance studios of Robinson Hall. 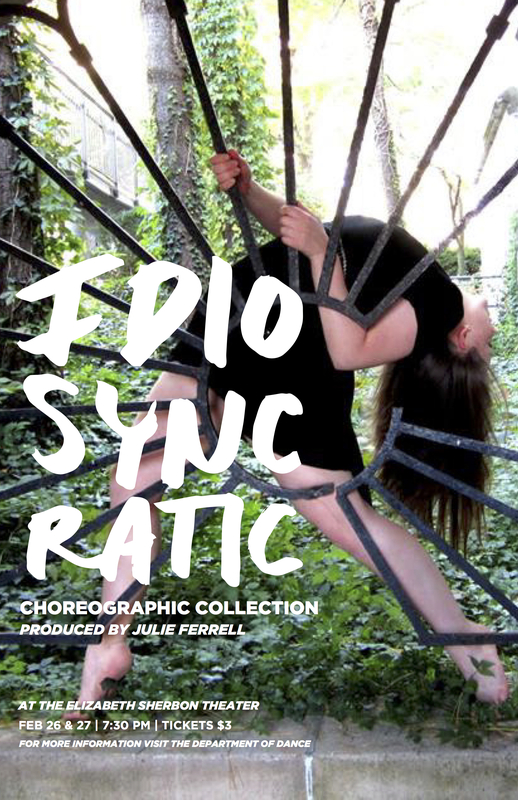 “Idiosyncratic” will highlight the varied and distinct voices of each choreographer involved. The event will be held Feb. 26 and 27 at 7:30 p.m. at the Elizabeth Sherbon Theatre, 240 Robinson. Tickets are $3 at the door. The public is welcome. “The show is entirely student produced. We choose how the stage is set up; we choose the lighting. It’s been very moldable to what we want it to be,” said Julie Ferrell, Tulsa, Oklahoma junior. “The entire thing is purely from passion for the art form. There’s no pressure to choreograph a certain way just to get a good grade. The choreographers are all juniors in the dance department, but the dancers performing range from freshmen to seniors. The performances will include ballet, jazz, tap and modern. The Department of Dance is one of four departments in the School of the Arts. As part of the KU College of Liberal Arts and Sciences, the School of the Arts offers fresh possibilities for collaboration between the arts and the humanities, sciences, social sciences, international and interdisciplinary studies. For more information on KU Department of Dance please visit, www.dance.ku.edu.